The Illinois Department of Financial and Professional Regulation (DFPR)announced today the registration of its first medical cannabis dispensary. Harbory, located at 8195 Express Drive in Marion, IL, successfully completed the DFPR business dispensary registration process and inspection and is now licensed to operate as a medical cannabis dispensary. 1. 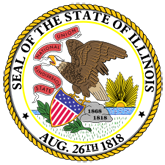 Illinois Registers First Medical Cannabis Dispensary (15-0796-IDFPR_IL_Registers_First_Medical_Cannabis_Dispensary_.pdf).